This is the counterpart to my recent post DIY: Hide a key inside your home where no one will find it! If you’re like a lot of people, you rely upon your garage door opener for access to your home a high percentage of the time. In order to enter our home, 99.9% of the time my wife and I use the door openers which are integrated into our cars or the keypad I installed alongside the garage door. If we’re going out for the evening with friends and they’re driving, I don’t bother bringing a house key – we’ll just use the keypad when they drop us off later in the evening. But what if there’s a power outage? If I don’t have my backpack with me and the power’s out, though, I’m totally locked out. What to do? Security experts generally advise against hiding keys outside your home. This link is to an article on the State Farm web site which contains some good general information about home security – note that it cautions against hiding a key outside. But if I’m locked out of my house, there’s a power outage or the garage door opener has decided to be temperamental – uh, thanks State Farm for your input, but I really need to get in somehow, short of breaking a window. For that reason I’ve chosen to hide a key outside our home, but have done so in a way that I’m extremely confident no one would ever find it. This post will cover some tips on how you can do the same. One VERY obvious option is hiding a key beneath the door mat or under a flower pot or planter on the front porch – you might as well leave the door unlocked if you’re going to choose such an obvious place! But with a little cleverness you can hide a key in an accessible location that your typical burglar (usually males under the age of 25) would never think to check. Finally, if you have neighbors who you completely trust – use one of these methods but hide the key outside their home. If someone were to somehow stumble across the key, they’d naturally assume it’s the key to that house – not yours! 1. 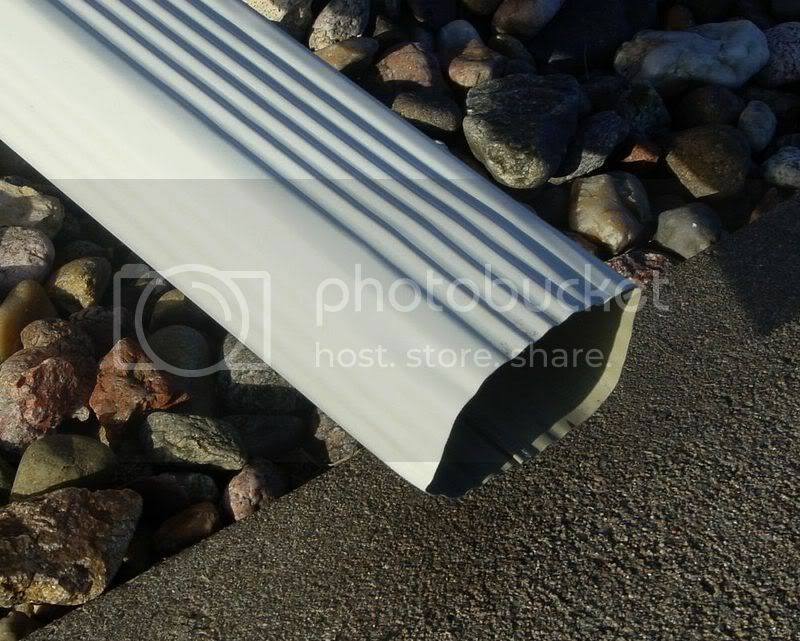 Here’s an option I love: inside the piece of rain gutter used to direct water away from your house. 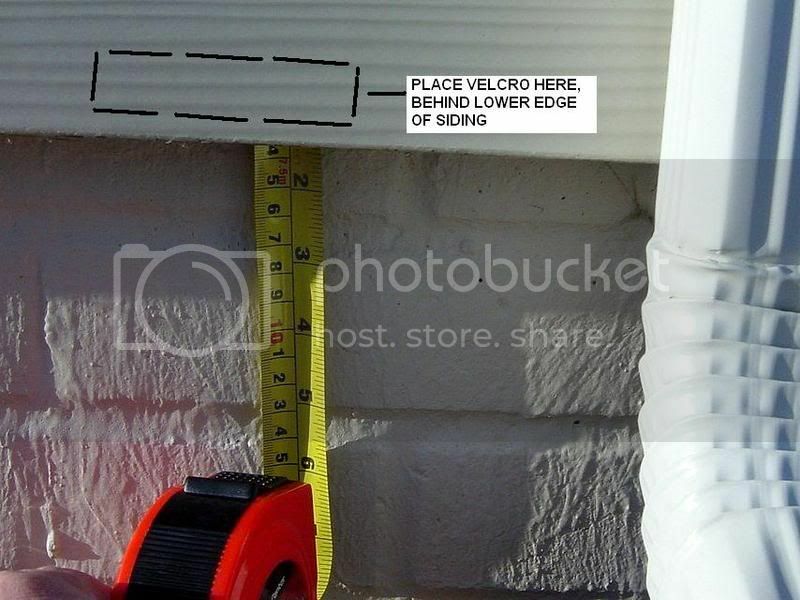 Although the surface is corrugated, the heavy duty Velcro will adhere to the underside of the top surface of the gutter. Located a couple of inches inside, the key is protected from the elements (any water traveling through the gutter will be flowing over the bottom surface, not the top!) and can be removed in a second or two. 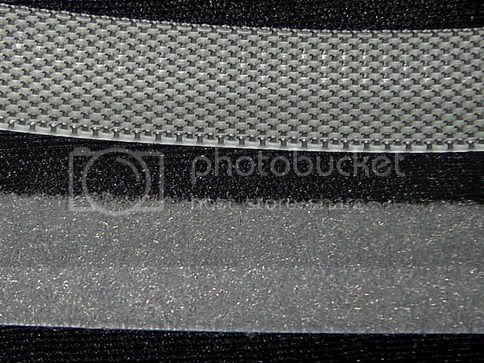 As with all 3 options I’ll show which use hook & loop tape, clean the surface you’re going to adhere the Velcro to thoroughly, using a clean cloth or rag, remove the backing from the Velcro, and press it firmly in place. When you need the key, just reach in, twist the key to the side and you’re good to go. Keep in mind if you live in a northern climate, you’ll want to avoid having snow drift over the spot you’ve selected. If I were to use the spot shown above, it’s near where I normally shovel and I could keep the snow cleared off without the fact that I was doing so looking odd or raising suspicion. One critical NOTE: If you decide to hide a key in your trunk as suggested here – or anywhere else in your car (your glovebox is a really dumb place, by the way) you MUST do this first: go to where you keep the title to your car. Put a note with your title: REMOVE HIDDEN KEY. When you decide to sell or trade in your car – preferably when you DECIDE to do it, not when you actually sell it, – remove the key. When you get caught up in selling the car however, you may not remember to do so. The note with the title is a last chance reminder, should you forget. 5/3/08 EDIT: An alert reader asked an obvious question at this point: why don’t I just carry a house key on my keychain??? See my comment in the comments section. I carry only one key with me, and it’s the “smart” key for my car. See below, and thanks again, Carl! That’s it – be safe and secure in your home – AND have a hidden key handy should you ever need one! DIY: Hide a key inside your home where no one will find it! 81 Comments on DIY: Hide a key outside your home where no one will find it! INSTEAD OF HIDING A KEY IN YOUR TRUNK, WHY DON’T YOU JUST PUT A HOUSE KEY ON THE RING WITH YOUR CAR KEY. Your comment made me smile. I forgot to mention one critical point in the post… years ago I got rid of all the extra keys on my keychain, having gotten tired of lugging them around. This key works electronically, although there’s a mechanical key in the fob should the fob battery fail, enabling you to get in the car and start it. I don’t feel like cluttering up the I-Key with a bunch of other keys. Silly perhaps, but that’s how I feel. If I’ve been at work, there’s a house key on the tab in my backpack as shown in the post; if the power’s off, I’ll use it. If I don’t have my backpack, I’ll resort to retrieving our hidden key. In four and half years, I’ve had to do that one time. My office key, incidentally, is on a retractable cord clipped to my backpack. I walk up to the door, pull the key out of its retractor, unlock, and let it zip back in. My electronic badge gets me in the front door of our office building 24/7. It too is clipped inside one of those mesh beverage pockets on the backpack. So… as I said above, I’ve gone the minimalist route. I like carrying only one “key,” and that never leaves my back pocket. Walk up to the car, press a button on the driver’s door handle, and I’m in. Step on the brake, push the dash Start button, and I’m off. The I-Key stays in my pocket. Thanks again – I should have mentioned in the post that I’ve adopted a somewhat minimalist approach to my “keychain.” Thanks for writing! A good suggestion Carl had ,with the car key being on the same ring as the house key. I enjoyed your write up on keys, hiding, etc,. I am also a minimalist. The i-key you mentioned is only for your model of car (infinity) or is it something universal that you can adapt to other vehicles? The I-Key or smart key is used on Nissans, Infinitis, some Toyotas, and perhaps some other makes. As it depends upon the car’s computer system and perimeter sensors, a universal aftermarket unit isn’t possible. Thanks for visiting! I enjoyed reading your article. 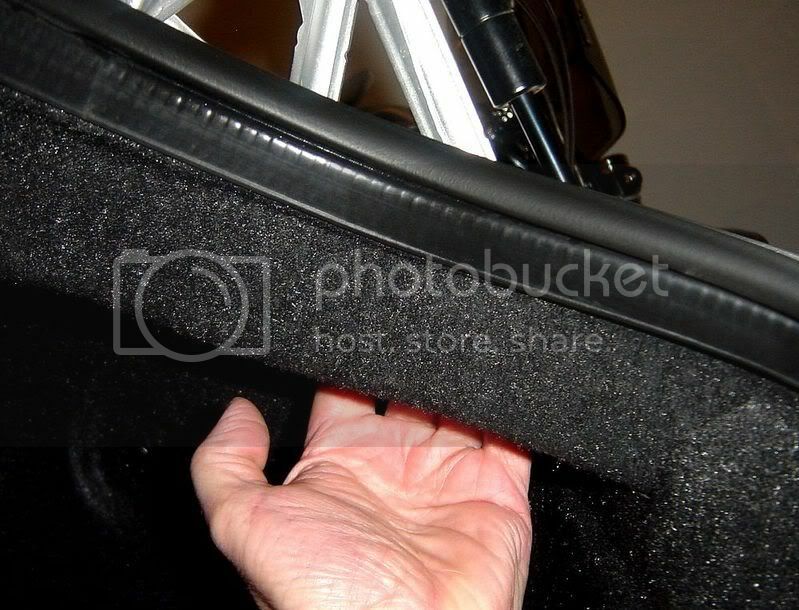 Great suggestions on where to hide the key and the velcro cut-to-size. For about a year I’ve been thinking about how I need to hide a key somewhere outside. 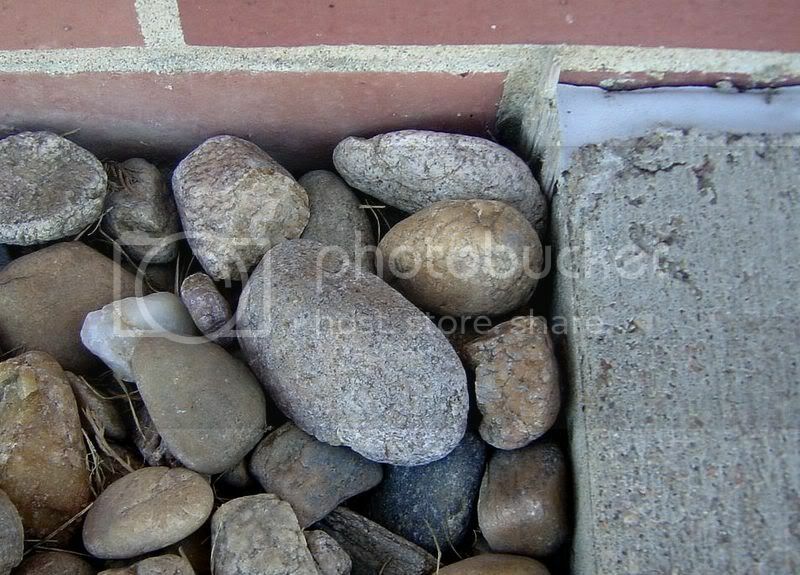 I had thought about the sticking a key in a ziploc and hiding under my landscaping rocks like you have pointed out, but I didn’t think about the problem with snow! I’ve piled up snow up to my waist before around the house. About hiding the house key in the car I’d be paranoid about someone stealing my car and them now having the key to my house. They’d know where I lived because of the registration info. I know the key wouldn’t be noticable, but nontheless.. Thanks for the comment! If you choose to hide a key beneath mulch, just do so in a spot that’s easily accessible during the winter – right next to your garage or front walk, for instance. It’ll be relatively easy to retrieve. (If at all in doubt, keep an old screwdriver in your car in case things have frozen up a bit.) Like your site, by the way! I just wanted to thank you for the information on hideing a key out side the house. My husband has epilepsy and does not drive a car but takes the bus and a couple of times he walked out without his keys so when he got back home he could not get in the house and I was at work and wasn’t there to let him in the house. He taped a key to the back of the house in plain sight which I don’t approve of so the information from this site really helped. Thank You again. You’ve made my day! I’m happy this post was of help to you. Hope your holidays are wonderful. Great ideas … I recently faced this issue. The problem with me is that I habitually lock the house as I walk out the door … sometimes I’m just going to the mail box or the garage (not accessible from the house). Now I’m a goner. The house is locked and the garage is locked and my pockets are empty. Hiding it in the car won’t work as the car is locked in the garage. A key has got to be hidden outside as I use it several times a year. I did have it taped just inside the cat door that went into the garage, but the cat is gone and I’ve just replaced the door. I used to keep it in the back yard, but can no longer enter the back yard without getting into the house first … so your velcro trick is a good one. I’m thinking that a magnet would would just as well in several places. A little investment can solve this issue permanently. In my case, I replaced my front door lock with a Schlage BE365 keypad deadbolt. It has 10000 possible combinations, and after 3 incorrect entries, it refuses to work for several minutes. That makes it more difficult to test out the right pin than just pick the lock. To be more secure, I also change my pin every half year. A 9v battery can last 2 years on normal use. If you decide to use this product, be sure not to use obvious numbers other people can easily guess like your phone numbers or family member birthday, and change battery when warning light and beep go off. In case the battery is totally dead, the garage door keypad can still be used to open the garage. True, this cannot solve the problem if the battery dies and power is out at the same time, but that rarely happens. Thanks for a great comment, Roy – I was vaguely aware of the Schlage unit; thanks for sharing the PN. I also bought a keypad unit. In this case, it was after my 84 y.o. father locked himself out of his house when it was -11 F. It took me less than 1/2 an hour to install the unit. The nice part was that I no longer needed a key to my Dad’s house. (nothing to carry, nothing to lose) You can program several numbers into the unit so you could temporarily program in a second number if you had guests visiting. I went out an bought myself a unit a little later. It is great for going out on runs/walks (nothing to carry). What I really like is that I can set the unit so the door locks behind me for security…but I can’t lock myself out of the house. The car key is stored in a magnetic box deep within the underside of the car. Great Ideas! I carry my house key on my car key ring as well but often times (if a friend is picking me up) I do not carry my key chain with me. I like to have a key outside as well and now have a few new ideas to play around with. I recommend spraying the key liberally with WD-40 and wrapping it in an oily rag inside the plastic bag. It may be years before you need the key, and I’ve found that they can corrode to the point that they are unusable. Al — great idea! I had to retrieve my key (it had been in place for about 4 years, untouched) and it was ok, but I’ll follow your recommendation just in case. Oh so you post a link to AT&T home security page…unscrupulous sales technique…. One thing to think about…I used a standard rock hide a key to hide my spare key outside. My neighbor was having issues with his cable recently. So, while I wasn’t home, some utility people came over to check his cable. Unbenounced to me, the cable was buried directly under the rocks where my key was hidden. Now my rock and key are missing. Make sure you hide your rock/key in a safe place so this doesn’t happen to you! Its much better if you will keep your key in the safer place. Where you can find it easily and bring it everywhere. Don’t trust somebody else to keep and hide your house key. I bought one of these and I love it. I know it won’t go “walking off”. The only thing is you have to remember the combination. It’s a small price to pay for piece of mind. Great article. I used to hide my spare house key in the bottom of the BBQ under the ceramic briquettes. Seemed like a good idea. Except who would have thought that the burglar’s family did the exact same thing. He spent 3 days in my house selling off my stuff while I was on vacation. In the Rocky Mtns, lots of people walk around old neighborhoods with metal detectors, the perfect device for finding keys in landscape rocks and under mulch. Magnetic hide-a-key devices can fall off your car when you hit a bump, especially after they get rusty, or your mechanic may find your key while working on your car. However, I like the idea of wrapping the key in an oily rag before placing it in a plastic bag, but what if the ground gets frozen? Then of course you could bury the key in the alley or another location a block or 2 away from home; then if someone else found it, they would not know what house it belonged to. I was in a hurry to get to a restaurant before it closed, and recently locked myself out of the house. I borrowed a crowbar from a neighbor to raise one of my porch windows. When I needed an additional block of wood to leverage the crowbar, I walked around back of the house, only then to discover the key was hanging on the key chain draped out of my pocket all along. Perhaps someone commented to this effect, or maybe I saw it somewhere else… some people have worked out a deal where they hide a key outside their neighbor’s house, and the neighbor hides a key outside their (the first party’s) house. If anyone (a burglar, etc.) finds one of the keys, it won’t unlock the house they’re at. Of course, you can only do this only with really good friends! Any ideas , not only suiting you ? 1. Getting into your home requires 4 keys? 2. What “gaget” do you refer to? 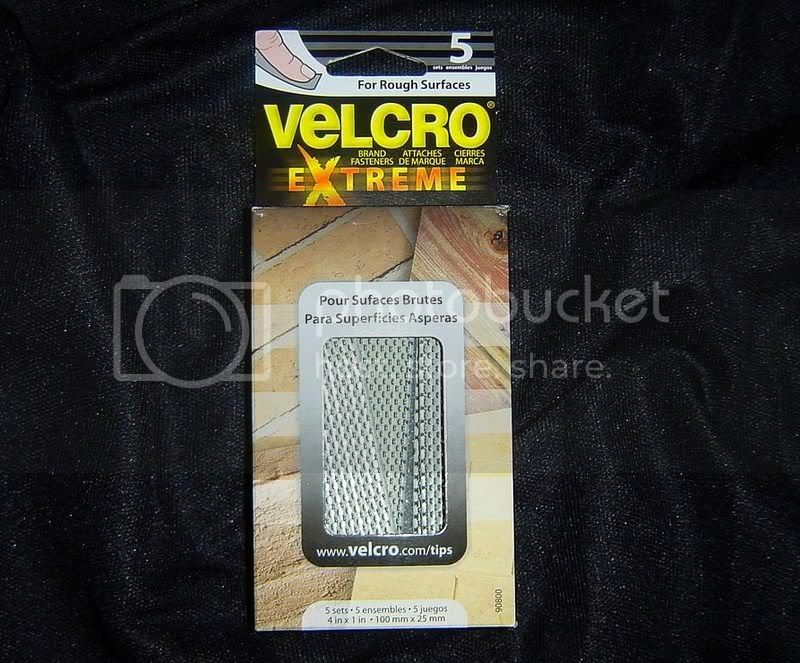 Velcro? It’s just one option. 3. How is that pertinent? 4. Again, how is this relevant? A car isn’t necessary. 5. Perhaps hide a key at night… ? The post is meant to illustrate a few general concepts for how one might hide a key. Perhaps you can use one of these, or get creative. I can’t prescribe how exactly you can go about doing that. Good luck. Slightly off topic– I recently remembered, after locking myself out and being unable to find my hidden key, that the Premier AAA membership includes locksmith service for one’s home as well as for the car. 1. You leave your home forgeting you key-ring behind (having car keys + house keys together won’t help!) This can happen if you share my habit of turning the door-knob in lock position when you open and as soon as you go out and slam the door its locked. If you realize you left the keys behind its a littel too late! 2. You are out shopping and shuffling bags in and out of the car. You drop/leave the keys in the car and accidently lock the car door. You are now locked out of your car and your house (your house keys hidden in the car won’t help either!) The way out is to hitch a ride home and retrieve the hidden key and hopefully you have extra car keys at home. Both of these happened to me and I have since learned to be more careful! Great ideas! I’ve got to get me some of that~ Know many more uses hiding keys with Extreme, such as trailer locks, RV locks, motorcycles, safes, and other things of value, which is kept under lock and key. I live in a huge apartment building. I have locked myself out on more than occassion. My apartment opens with a Schlage numeric keypad — awesome. But what to do with the building key? I was considering abusing the underground guest parking and hiding a key somewhere up on the tubes. But, my problem is — if a cleaning crew finds it, that’s a problem. There is a little greenery around the building too. So — where would you hide a key in such circumstances? I live in a metropolitan area in the upper midwest USA where we can have loads of snow from November through April. Hiding a key anywhere close to on the ground means having a key frozen in ice or under three feet of snow. We have a detached garage and live in a single family home. We hide the GARAGE key outdoors as far away from any entrance or pathway as possible, and at least four feet off the ground. (One will just have to trudge through the snowdrifts if needed.) Once this key is recovered you can access the garage where the HOUSE key is hidden inside. This way if somebody finds the outdoor key, they won’t immediately get inside the home and either discourage them or give the neighbors more time to call the police. Thanks for the Velcro idea! Here’s an idea I’m using myself regarding hiding a key outside. I have hidden old (useless) keys in several ‘obvious’ places, like under the front doormat, under several flower pots near the door, etc. to act as ‘decoys’. The real key is hidden somewhere else, not so obvious. My theory is that a would-be thief will get tired of trying the duff keys and give up! Actually that’s an excellent idea. You might be right Kevin! In my case the decoy keys don’t even fit into the lock, and so cannot be snapped off. But I take your point — maybe a would-be thief will do something else nasty out of spite or frustration?? I would hide the key several streets from my house. You are hardly ever going to need it, so the little walk won’t hurt. That way if someone finds it, they are a lot less likely to find the house it belongs to. Sounds neat, HK, but it might be a bit awkward to hide or retrieve a key on someone else’s premises. That could look very suspicious as well as constitute trespassing! To avoid this you would have to hide the key in the public street or road — in a wall, say. But I’m not at all sure I’d be comfortable hiding my key in an easily accessible public place. I don’t think we’ve cracked this one satisfactorily yet. In the meantime I’m sticking to my decoy key strategy! My parents used the “inside the rain gutter” method 50 years ago. Not a secret. I’ve put magnetic hide a keys behind AC units and phone boxes when I lived in an apartment – I just did it for another building, as suggested above. On the deck, inside a glass jar, wrapped in a rag that looks like an old paint rag. Inside your car, simply place several old keys and mark each one with a different name – “Sue’s house”, “Mary’s garage” etc. Just label yours with the wrong name. Open up one of your front carriage lights, if it opens with a swing out door. Lay key on the floor of the light. You can’t see it from the porch. And don’t set the HOME button on your GPS to your real home – thief steals car, presses Home, goes to your house, uses garage door opener in car to drive into garage, closes door, fills car with stolen goods, drives away, closes door. Thanks for a great comment and some excellent suggestions! It’s my custom, and most people I know around here, to put the car key together with the front door key on a single fob (so I can’t lock myself out when I go for a drive). This means, of course, that if I do absent-mindedly close the door without the keys in my hand (or it blows shut), I won’t be able to open the car to get the ‘backup’ key. Snookered! Good tip about the GPS, though — I wouldn’t have thought of that! Changing your GPS is a good way to distract or delay thieves, especially the lazy ones. That said, don’t most people leave their vehicle registration in their vehicle… with (usually) their home address listed? I’ve had the same thought. I guess the only solution would be to carry your registration in your wallet… and make certain there’s nothing else in your glove box that lists your address. Great article and great replies. However I did want to add to the registration comment. Very recently there was a home robbery reported onTV here in Redmond,WA, where thieves stole a car from movie theatre parking lot. Retrieved the address from the registration,drove to that home and stole stuff knowing fully well that the home’s occupants will be busy for the next hour or two. Very helpful thread. We live in an earthquake zone and I want to hide an extra set of car keys ideally with the car (no garage) in the event that we exit our house very quickly and want to take refuge in our car. We also use a club on our steering wheel to prevent car theft and sometimes leave car doors unlocked to prevent window smashing for theft of potential car contents. My idea is to hide the car key under/behind the rear license plate and then hide the club key in trunk. Perhaps using Velcro for each key(?) – or I’ve also seen license plate hide-a-key holders on the Internet. What do you think? As for the house key I handed copies to 3 of my neighbors to keep in their homes in case I need to borrow. In an earthquake aftermath I’d just break in if need be. Walk 200 metres down the road from where you live. Find a recognisable landmark/tree. Dig a small hole. Insert key. Done. Even if someone finds the key, which house are they going to try it on? Not the nextdoor neighbour obviously, perhaps 3 or 4 doors away. Final option – glue one to the bottom of your bin. NOM I know, but safe I suspect. Oh yeh, you could just not loose your key? Agree, although lock boxes cost about $30, and an electronic keypad can cost from $100 to $200. The only problem is that the batteries like to die unexpectedly or when the power goes out your stuck. It’s really a good idea to put the key that comes with those electronic dead-bolt systems into a mechanical lock box so that you always have a way inside just in case. 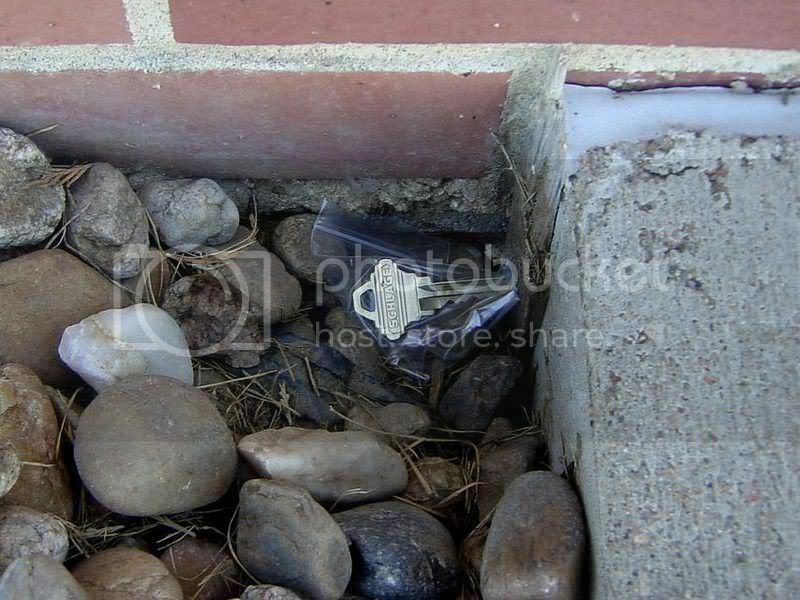 I noticed a few of you were concerned about hiding your keys in a fake rock because it might be picked up or miss placed. We’ve heard this concern over the years and have developed a way to anchor our the RocLok Hide a Key to the ground to prevent this from ever happening. Now you can store several spare keys in a lock box with 1,000 possible code options that hides in plain sight as a rock and not have to worry about the rock being moved or taken. We call it the LokDown System and you can see it in action here: http://goo.gl/iMgMG or you can go to our homepage at: http://www.roclok.com and click the button on the left side of the page. 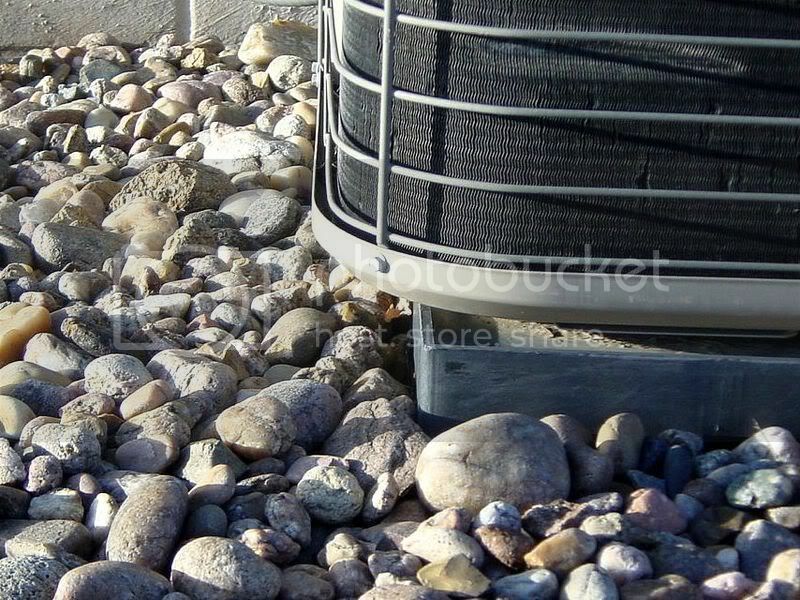 That rock lockbox above is a good solution – one of the best presented here. Its hard to find and even if you do, you have to enter a code which in this case is a mechanical lock. Though electronic locks are more secure, the battery can run down. If the battery can be changed from the outside, hide spare batteries. BUT if this rock lockbox is pricey to you ($70), you can search for a “Realtor lockbox” on Ebay or other sites. Although they don’t have the great disguise this rock lockbox has, but they’re cheaper and operate on the same principle: Hide something that has the key inside, locked with a code. Some of them are just $16 on Ebay and for more security some use 4 codes instead of 3 which the rock lockbox has. Continuing that thought, here’s another idea for an even more secure solution: Basically it just means: Use multiple lockboxes and hide them all around in different locations. Box 1 holds the key to Box 2 which holds the key to Box 3, which has the house key. You can use just 1 box or more boxes for security. You can use padlock based boxes or boxes that can open with a mechanical lock like the rock lockbox. All this is more secure than simply hiding the key anywhere. 1. Hide it somewhere, but if a thief finds that key, he will get access. He just has to look around. 2. Put the house key in one of these realtor lockboxes on Ebay or the rock box, and then hide that box. Now if the thief does find yourlockbox, he has to guess the code. 3. Use multiple lockboxes hidden in different locations, preferably as far from each other as possible. Box 1 holds the key to Box 2, which holds the key to Box 3 which holds the key to your house. The last box should open with a code, preferrably a 4 digit code. Scared of dead batteries? I would use this last option if I had a house and my locations (garden, shed, outside the house near the AC and so on) to hide these boxes. Remember your locations. I would like to make sure that anytime I’m accessing these locations, I cannot be seen and therefore my location would not be revealed to anyone, including neighbours or passerbys. Even if its a lockbox, you do not want anyone to know where its hidden. BATTERIES: If you use an electronic lock and if the batteries in the lock or lockbox can be changed from outside without having to ender the code, then hide a few pairs of spare batteries. Hide extra pairs so if one pair goes dead, the other will work. Make sure batteries are of good quality (Duracell) and are kept out of sunlight and sealed from the elements (ideally cool, dry place). In the worst case if you find the batteries are dead, you can borrow them from a neighbour or buy them from a store. EASY SOLUTION: Buy the rock lockbox, or a realtor lockbox and lock the key inside with a mechanical code. Hide that lockbox in a good location. I have yet to implement all of this but I know I’m on the right track, atleast one that’s better than simple hiding the key. I need to work on this. Personally, I think you’re over thinking things a bit. At present I’m using a fake sprinkler head, and once the grass grows over it, trust me, no one is going to find it. Thank you for giving our product such a great thumbs up Larry! It sounds like you’ve really given a lot of thought to creating a super safe way to keep your keys safe outside. While we pride our product on being a safer alternative to sprinkler heads and traditional lock boxes unfortunately no security system is completely immune to all circumstances. If someone wants into your home they will get in one way or another. The lock box is a convenient way to keep honest people honest and ensure your key is there if you or someone else needs it. I definitely agree with you that a key should always be stored outside in a locked container. Although the sprinkler head is concealed it is not secure. It also makes giving guests or service providers temporary access more challenging as first you need to tell them the hiding spot and then can not re-secure your key without moving the sprinkler head. Just to quickly address your concern on price, $70 covers shipping anywhere in the Continental US which is about $15 – We hand-make each RocLok individually in the USA and offer a 1 year warranty / lifetime free support on every one. Hopefully this explanation adds to the value proposition of our product verse the offerings of our foreign made competition. Well, you certainly get high marks for persistence and promoting your business. I’d never tell anyone the location of the sprinkler head “safe.” If someone needs to get in to the house while we’re away, I change the code on our garage door opener’s outside keypad so they could use it, and change it back when we’re back home. I am intrigued by your product, however. I just think the price is tough to justify versus a realtor-style or permanently mounted lockbox (like this one: http://amzn.to/PryYMT ) which is only ~$20. It sounds like you have a good system in place for your needs. Again the draw back to the garage door opener is the power issue. But if you don’t have a lot of guests on a regular basis that would certainly work. It is smart that you also have a spare key in the sprinkler head incase. The $20 option works well but it is conspicuous and can bring unwanted attention to your spare key. They are also easy to pick. I’m not saying that our option is inpenetrable but it does hide rather than hang out in the open. I don’t know if you’ve seen this video (http://youtu.be/FBhIuaAn6wg) on how to break that particular unit open with a regular hammer or not but its a bit scary. As I said earlier, if someone wants in they will get in. We just provide a secured option for people who would like to their key to be kept safely outside. If you have a system that works for you that is terrific. Thank you for letting me share our solution with your readers. I hide a key,but do not worry about anyone finding because they would never get by the dog. I just saw this thread, sorry I am so late to the conversation. If you do have a family member that is disabled or has medical issues (or just frequently forget your keys), you can have a Knox box installed on your home. You see these often on business buildings, etc. a metal square with a key in center… I work for the fire dept, and we have a key for the knox boxes in our area. Inside the boxes are typically a master set of keys for entry, and other interior doors, but we have had more residents using them as well for people with medical issues. This prevents us from having to break windows and doors when someone cannot open the door from inside their home. More expensive than a rock, probably so, but I just wanted to put it out there for anyone that may need it for future info. :) Have a safe day! We happened to be away the week hurricane sandy hit & with power out could not get home until power restored (actually had a spare key w housekeeper) as neither of us brought a housekey given were going away and didnt want to carry extra keys etc. I live in a part of Europe where we don’t lock our doors :-) but this article is still interesting. Times might change. One thing though, it seems strange to me that someone who lives a ‘minimalist’ philosophy would choose to need electrical power to get into their home. I don’t claim to live a minimalist lifestyle, by any means. My comment was that I was taking a “minimalist approach” to my key ring. I actually taped a key to the back of our security company sign in our front garden. This was a 1-time thing for my son when he needed to get in when we weren’t home. I’ve used the top of my pool filter before, the cover comes off pretty easily if you know how and nobody can see it being done. I think the best hiding place I’ve had so far was using a magnetic hide-a-key to stick the house key to the underside of the old hose reel hanging off the side of the house. The hide-a-key can give you some interesting hiding options, but that velcro certainly opens up a lot more. Best place to hide a key is on a nail on a tree. Paint nail and key brown to match the tree and put in on the side of the tree where people wouldn’t see it. I do like the gutter idea above too. Also, if you want to bury the key somewhere in the yard, an empty pill bottle is a wonderful container for the key. When I moved, I did notice that the key was a bit corroded so I would use the WD-40 and the plastic bag tip. I never keep my house key with the car key that I use because if my car got into an accident and I was incapacitated, someone could make a copy of it. Unless it’s a very particular mechanic, I also don’t leave my set containing the house key–I give them the spare key. We used to keep a key on a cup hook inside our Rottweiler’s doghouse, which was inside our fenced backyard. He was usually outside if we were gone unless it was raining. He was actually harmless, but at 150 pounds, not many people would have risked it even if they knew the key was there. We lost him to old age a couple years ago, so we’ve found a new hiding spot, but I don’t feel it’s nearly as secure as the original. I use a ‘key chase’ method for my emergency access. I’ve hidden a key to the side yard gate in an out of the way spot out front. Once I’m in the back yard, another key is hidden that opens the garage man door (this door is not keyed the same as the main house). Inside the garage is a commercial quality real estate combination lockbox secured around a hard to reach section of the cold water supply line to the hot water heater. In this is the house key. Discretely check the hidey spots a couple of times a year. I’ve only had a key go missing once, the one in the front yard that goes to the side gate. Replaced the gate lock and found a new place to hide that key. N.B. I use a keyed lock on the side gate as the lock is all but impossible to see at night. If you have a good light source and can open a combo lock at night, then use that and skip hiding a key out front entirely. I’ve been doing it this way for 40+ years and have needed my keys maybe five times. It’s a godsend to be able to get into your house if you really need to, yet still make it a little bit difficult for someone else to do the same. 1. Make sure its not visible… ever. 2. Don’t tell anyone where it is. 3. Move it if you ever use it. 1. Under the mulch, under a bush. 2. Imagine yourself trying to tell someone (Spouse or family member) where the key is. 3. I used to use a twist-tie and put the key in a bush in the back yard. It was easy to reach in and grab and pull, and it kept dry and didnt rust. I live in a condo where nothing on the outside is really safe from gardeners cleaners, cable guys, neighbors etc. But I do have some storage cabinets in the open carport. In those cabinets are dozens of big textbooks from my son’s college education. I think I’ll put a combination lock on the cabinet, and hide the key inside one of the books and stick it in the middle of one of the boxes of books. In 25 years of living here nobody has broken into those cabinets even though the locks are very flimsy because they rightly assume nothing of any value is in there. I had never considered to hide an extra key outside of my neighbor’s house. I can see why this would be a really effective way to ensure that your house is protected, but you still have a way into it if you lost the key. I think that it would be important to keep in mind that the kind of weather could have an effect on whether you want to use that key or not. I would think it wise to keep a key there and then have one in another less obvious spot closer to your house. Some great ideas! Here’s the idea we use: my husband has an outdoor Rubbermaid tool shed (it’s a small one, about four feet high), that is on the back side of our house. Inside the tool shed are some of his old tools, cleaning solutions, old cans of paint, etc. Also inside is a cheap plastic flashlight. But instead of batteries in the flashlight, we have a spare house key. It has worked for us for years. I do carry a house key on my car key fob, but there have been times I’ve locked myself out because I forget the car keys. It has saved me having to break into my own house.
. We used to keep a key on a cup hook inside our Rottweiler’s doghouse, which was inside our fenced backyard. He was usually outside if we were gone unless it was raining. He was actually harmless, but at 150 pounds, not many people would have risked it even if they knew the key was there. We lost him to old age a couple years ago, so we’ve found a new hiding spot, but I don’t feel it’s nearly as secure as the original. I am curious to find out how long the Velcro tape lasted before it needed to be replaced. Cold, heat and moisture have negative affects on adhesives. I have lived in the metro Detroit area for the last 30 years and have yet to carry a house key. I’ve been lucky enough not to be locked out in all those years because I have a magnetic key hider that is stuck to a piece of equipment attached to my house. I do want to say that the hide a key is for my own convenience and I am not worried about someone finding it. If a criminal wants to get it your house, they won’t be searching for a spare key. I used a shoe repair glue that’s thick, and clear. With the thick glue, I glue a key under the bumper of my car. Use enough glue on the end of the key with the hole in it to make it hold tightly. Keep in mind not to put glue on the keys teeth. I have also, from time to time, glued a key to the inside of the cars gas cap lid door. Thats the kind that opens with a lever near the drivers seat and it pops open exposing the tanks filler cap. That said you will need to have the car unlocked and nearby. This all came about when I locked the car keys in the car at the gas station and when I went to fetch the hidden house key box all I found was the bottom, of a two part magnetic key box. The top of the box had shaken loose while driving and it has never been located.